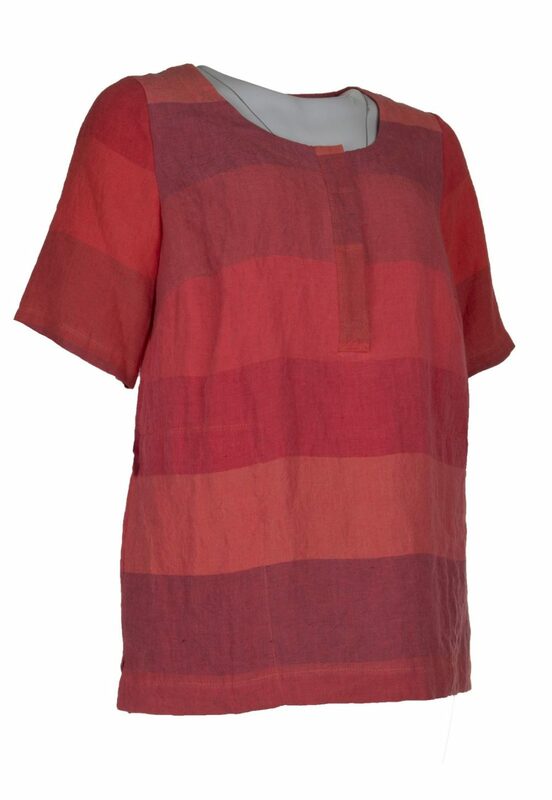 Lush summer linen stripe top from Sahara. 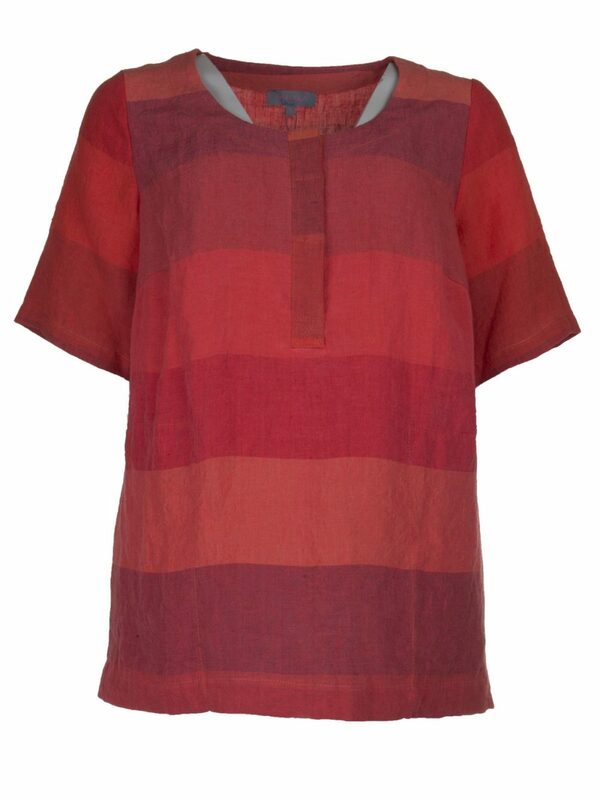 Katie Kerr bold linen stripe top in shades of red linen. 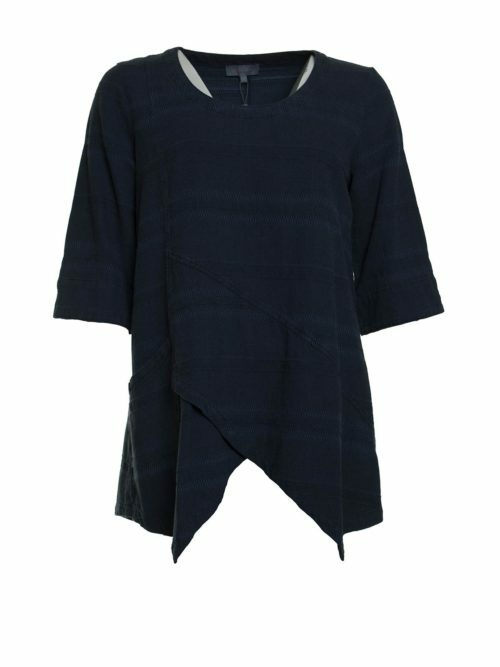 Deep scoop neck to flap concealing 3 buttons. 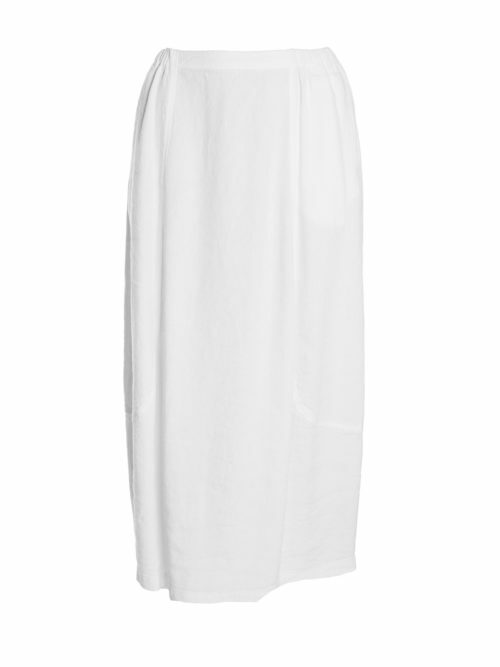 Short sleeved with side concealed pockets, small slits on sides of hem. 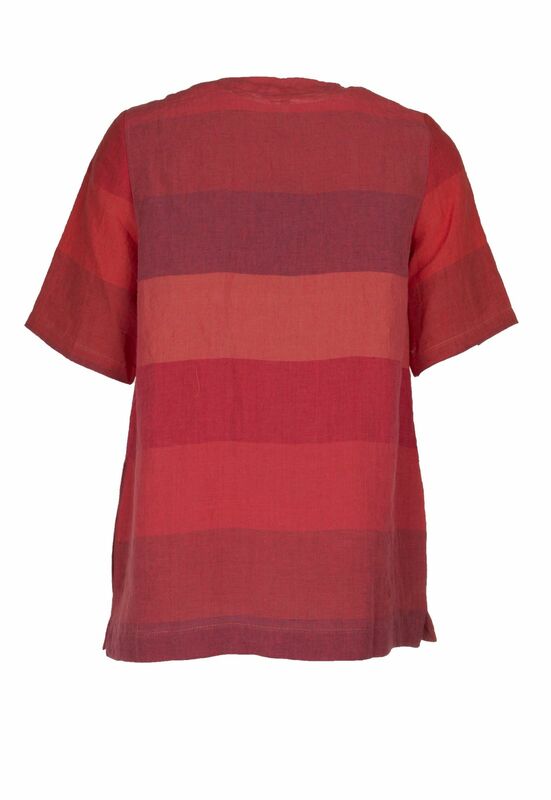 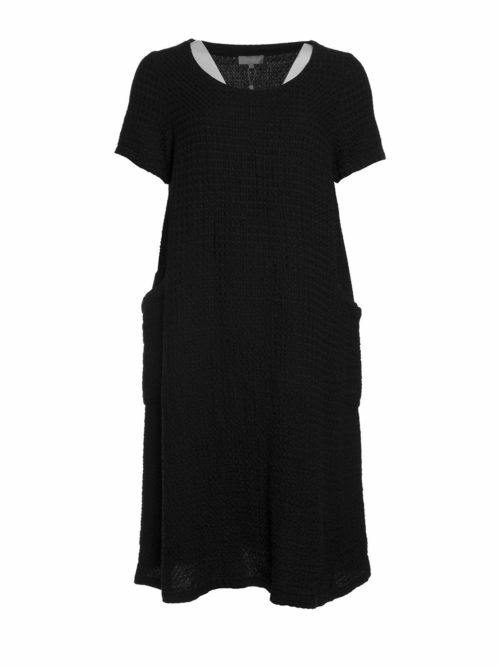 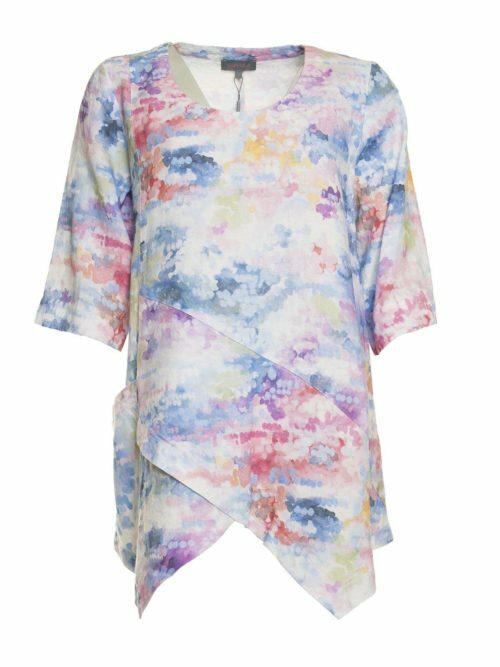 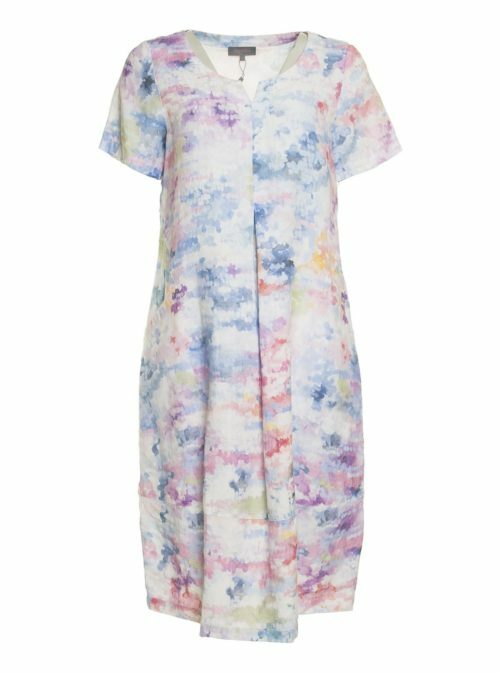 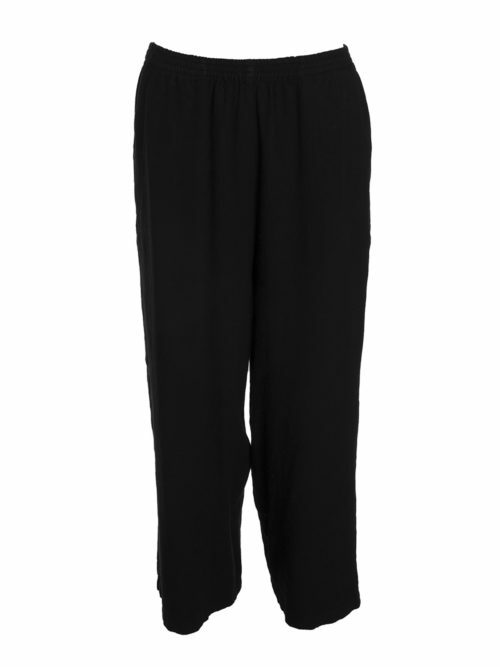 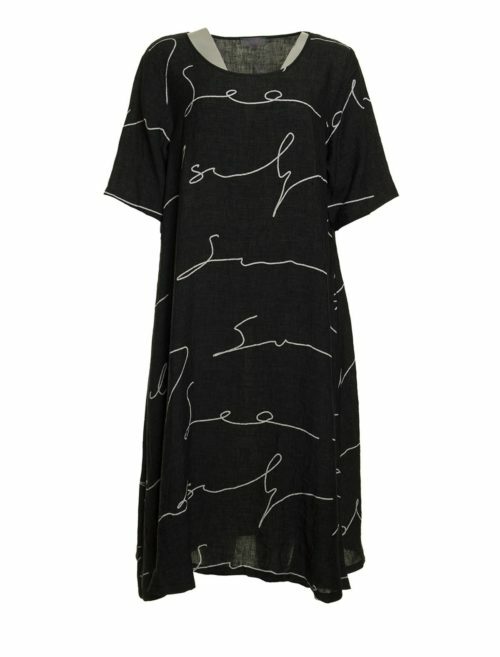 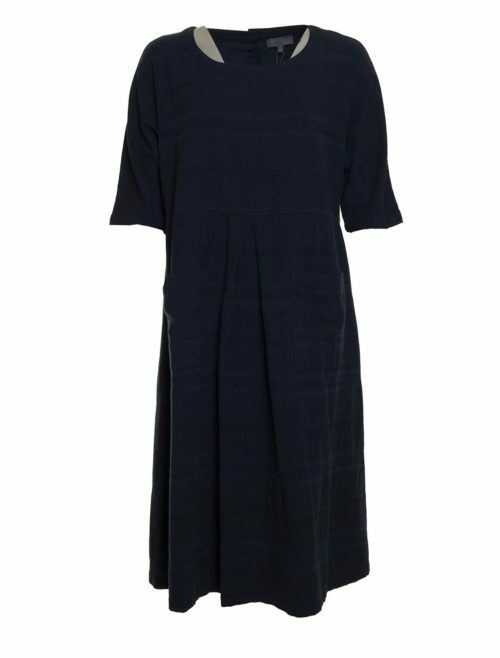 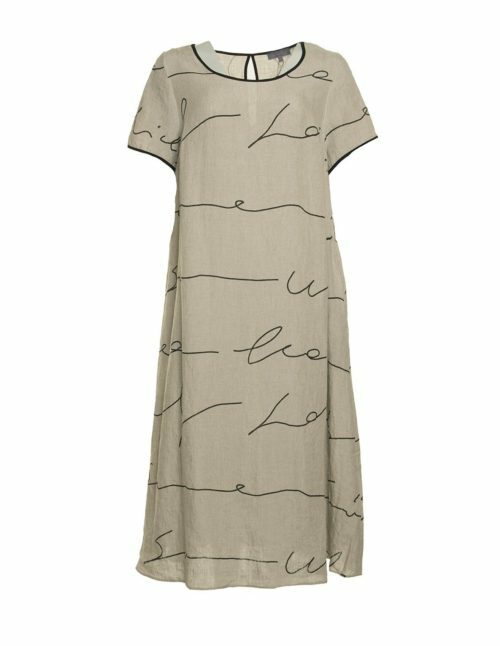 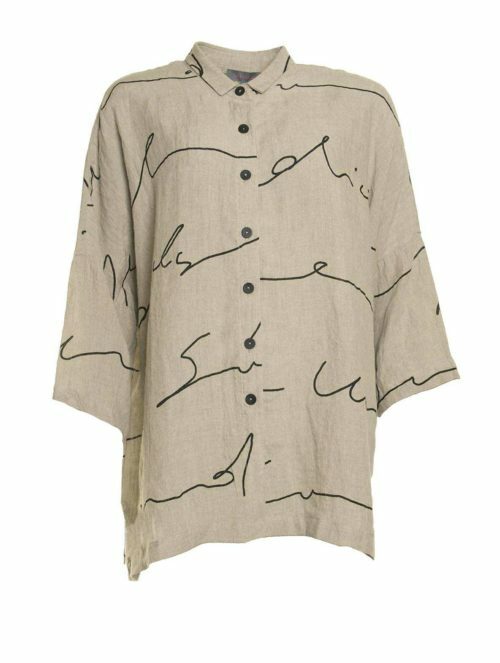 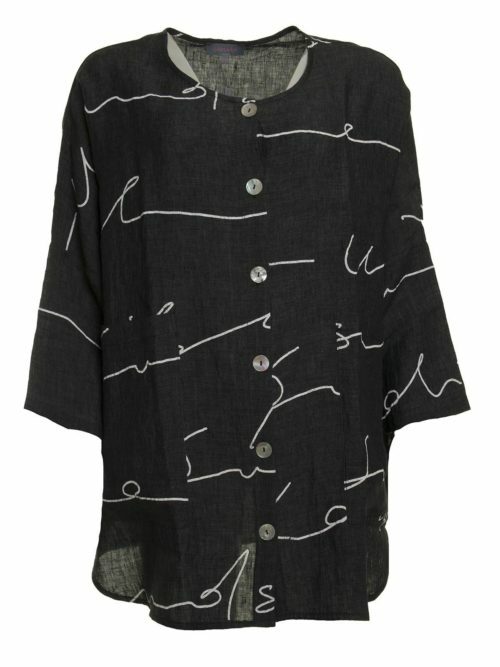 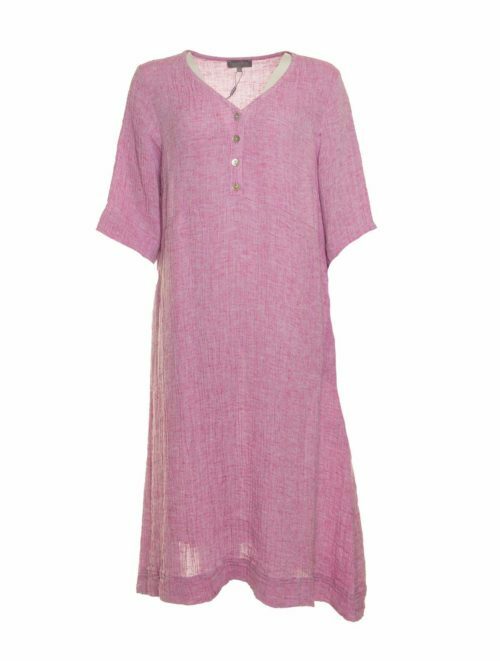 A super top to wear with Sahara black linen trousers for a stylish summer look with Fly London black sandals.